Applications are now being accepted for the Helen M. McLoraine Scholarship! The Pioneer Fund established a college scholarship program in 2010 to assist eligible current and former amateur and professional ice skaters who dedicated their lives to skating and now wish to pursue a college education. Scholarships are offered each year for full-time undergraduate study at an accredited institution of the student’s choice. 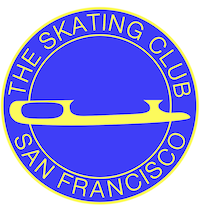 Eligible individuals are skaters that have competed at least once in a U.S. Figure Skating qualifying competition at the novice level or higher in either a men’s, ladies, ice dance or pairs event. This scholarship program is administered by Scholarship Management Services, a division of Scholarship America. Awards are granted without regard to race, color, creed, religion, sexual orientation, age, gender, disability or national origin. A total of $240,000 in scholarships will be awarded ranging from $4,000 to $8,000 per scholarship recipient, and scholarship awards will be announced in June – 2019.